CTS was proud to present another educational community evening. 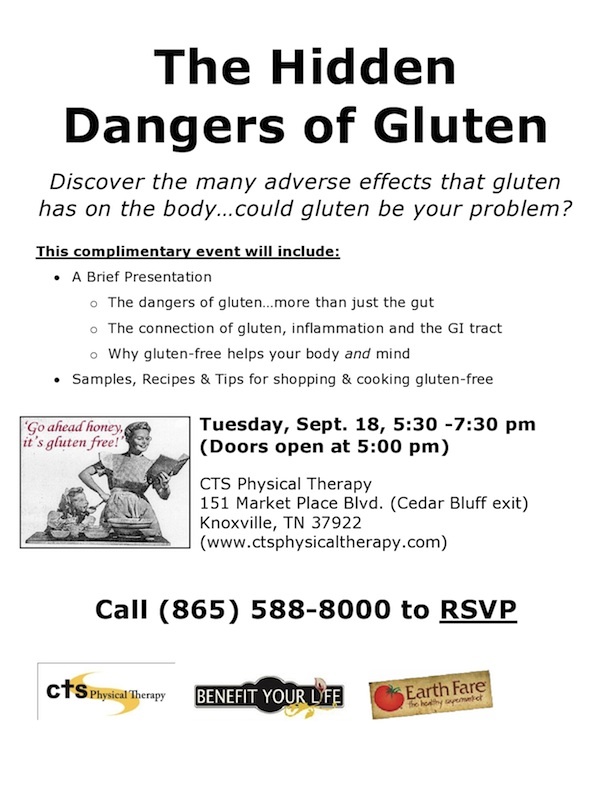 Piotr Ulmer, MSPT, co-owner and founder of CTS, delved farther into the topic of gluten and discussed “The Hidden Dangers of Gluten”. Gluten is often misunderstood and many people might have a sensitivity to gluten without even realizing it. Ulmer discussed these issues, among other things. Once again, Benefit Your Life and Earth Fare joined us for this event. They brought out delicious gluten-free goodies and samples galore! !